"I remember a world without Google, and knowledge was largely anecdotal or learned in books...people would come and tell you things, and you had no way of verifying them. We're verifying them now. People say things to me all the time that may or may not be true, and I check them using Google, and that's indeed how Google itself works." "Now we're seeing the minutes of voice usage decline and the usage of data - whether it's gigabits, megabits, however you want to measure it - accelerating tremendously, exponentially. And so the question becomes, how does the user and the carrier pay for this huge investment they have in their network?" "Networks have played a powerful connective role in human societies since the dawn of agriculture. Brinton and Chiang document and analyze this phenomenon--and reinforce our appreciation of it." "I saw this as a research experiment when we started...and then suddenly there were workstations around, and by the early 80s, personal computers started to appear...and today what do you have? Probably 3 billion devices on the net and the possibility of 20 or 100 billion with the Internet of Things." 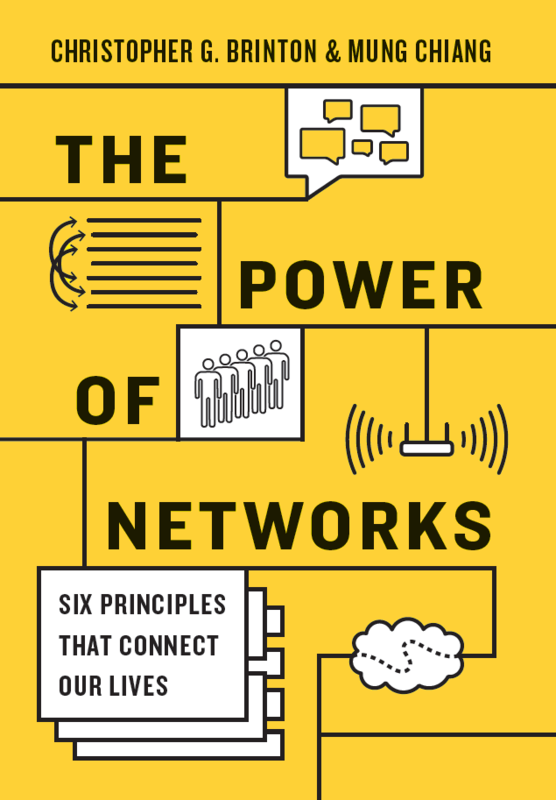 "The Power of Networks is a wonderfully accessible account of the networking concepts that shape our technology and our society. With remarkable clarity, Brinton and Chiang reveal how the theory of networks illuminates the many connected aspects of our lives." "This insightful, readable book shows how the Internet of Things is being transformed, starting with connectivity. Whether you are a technology consumer or work in industry, this is the book for you." "This book is a manual for citizenship in the twenty-first century, a world where networks help us find our place by sharing information about who we are, and about what we would like to do." "As humans, we are 'networked' by nature. Our bodies are networked from head to toe by the most sophisticated network that exists, and the value of networking was even understood by our ancestors as they began to network in order to hunt more efficiently. The Power of Networks explains how six basic networking principles connect our lives almost as an extension of our primordial instincts--but in more advanced ways than our ancestors could have imagined. It is an absolutely intriguing book." "Those are probably the most important decisions that [we made around 1974 in architecting the TCP/IP protocols]: release it publicly and remove any barriers there would be to adoption. We decided not to impose any intellectual property constraints on the use of the design. We published all of the documents freely."